Catherine and Henry Carey were the children of Mary Boleyn. Their parentage is questioned, as their father could be one of two men; either Mary Boleyn’s husband, William Carey, or her lover, King Henry VIII of England. This post will examine the evidence for each side, and look at the futures of the pair. Neither Henry nor Catherine were acknowledged by Henry VIII, unlike Henry Fitzroy, Henry VIII’s son by Bessie Blount. However, Mary Boleyn was already married, unlike Bessie Blount. If Mary was sleeping with both the King and her husband, then she herself may have been unsure of their paternity. Leanda de Lisle claims that there was no evidence at all to suggest that either of Mary Boleyn’s children were fathered by Henry VIII. Read on for my arguments and a summary of the ‘evidence’. Catherine Carey by Steven Van Der Meulen 1562. Catherine was born around 1524. Henry was born around 1525/6. Philippa Jones has these dates reversed, with Catherine in 1526 and Henry the elder, born in 1524. However, I don’t believe Jones is correct, as there is more evidence for Catherine being the elder. Mainly that she was at court years before her brother. Catherine was the one more likely to be the child of Henry VIII because of her earlier birth date, and this pregnancy is likely to have ended Mary’s affair with Henry, before the conception of Henry Carey. Josephine Wilkinson, on the other hand, claims that Henry VIII didn’t abandon Mary during her pregnancies. Wilkinson claims that by 1526, when Henry Carey was said to be born, Henry VIII had moved his interest to Anne Boleyn, but that Mary was still sleeping with Henry at the time of the younger Henry’s conception. Kelly Hart agrees with Wilkinson about the timing of Mary Boleyn’s affair with Henry VIII. She claims there was a ‘good chance’ that both children were fathered by Henry VIII. But, of course, we will never know for certain. Wilkinson points out, as her leading argument against Henry VIII being the father of Mary Boleyn’s children that Henry VIII appeared to have very low fertility. Of the eight women with whom he was assumed to have had sexual relations, only four conceived and carried a child to term. This seems especially strange considering how fertile the families of the women he slept with were (notably the Seymours). Grants given to William Carey, Mary Boleyn’s husband, appear to coincide with the births of Catherine and Henry. For example, they were granted several manors in 1524, around the time of Catherine’s birth, and then again in 1526. These could have been to appease the cuckolded William Carey, and possibly to persuade him to accept the paternity of the children for himself, rather than have that responsibility on the King. Hart claims that Henry VIII didn’t do anything for Henry Fitzroy (his only acknowledged illegitimate son) until he was around six years old, and at the time that Henry Carey was turning six, Henry VIII was battling to marry his aunt, Anne Boleyn. Recognising young Carey would have undermined Henry’s position on the divorce, and the possibility of the Pope granting an annulment. At the time, Henry wouldn’t have done anything that risked his relationship with Anne Boleyn. Depending when you think Mary Boleyn had her affair with Henry VIII, both of the children could technically have been born within the time span. Personally, I believe that Mary’s affair with Henry VIII ended with the conception of Catherine around 1524. I don’t know whether she was the child of Henry VIII, but we won’t ever know. It is said that both Henry and Catherine Carey looked like Henry VIII; however, this could have been from the Boleyn line rather than the royal line. Henry Carey, Baron Hunsdon, by Steven Van Herwijck c.1561-3. Henry Carey became a ward of his aunt, Anne Boleyn, while she was Queen. It has been suggested that this was either to show Henry that Boleyn women were fertile, or to provide a ‘backup’ son in case Anne didn’t conceive. After Anne’s fall, he returned to live with his mother and step-father, although he did later gain a place at Court. Catherine Carey was appointed as a maid-in-waiting to Henry VIII’s fourth wife, Anne of Cleves, in 1540. Catherine then married Francis Knollys later in 1540, whom she had met at Court. Henry Carey married Anne Morgan. Catherine and Henry Carey between them provided Mary Boleyn with twenty-eight grandchildren. 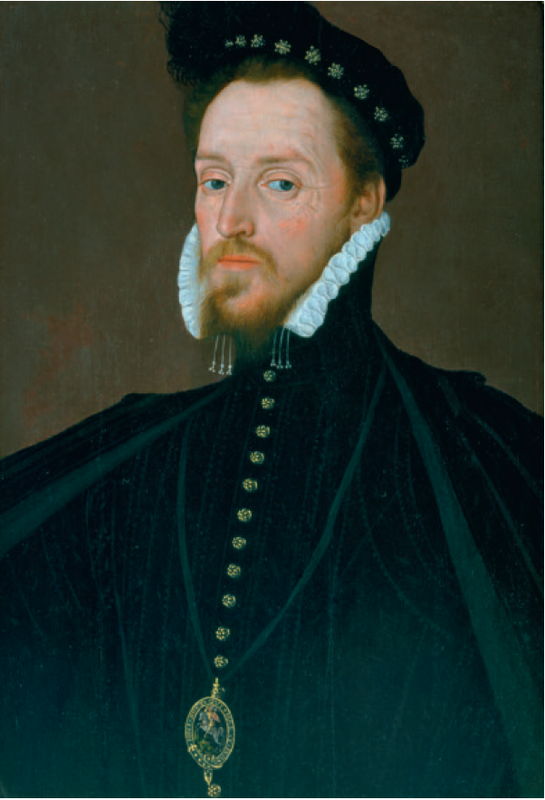 Henry was granted several manors in the reign of Edward VI, and lived quietly under Mary I (probably safe as a relative of Anne Boleyn who replaced Mary’s mother on the English throne!). Henry had seven sons and three daughters who survived infancy, while Catherine had six daughters and seven sons who survived infancy. The remaining to make up the twenty-eight grandchildren of Mary Boleyn, would have died before adulthood. 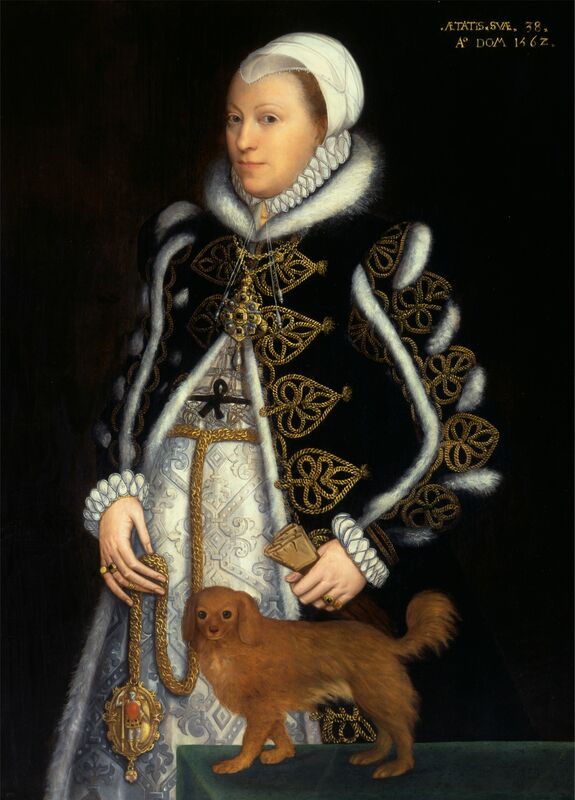 Elizabeth I was very fond of her Carey cousins and knighted Henry Carey on her accession to the throne, then made him Baron Hunsdon less than a year later. It wasn’t until he was on his deathbed in 1596 that Elizabeth I offered to make him the Earl of Wiltshire, a title held by his maternal grandfather. He was alleged to have said ‘Madam, as you did not count me worthy of this honour in life, then I shall account myself not worthy of it in death’. He does have a monument in Westminster Abbey, as a token of Elizabeth’s love for her Carey cousins. Catherine was a close friend to Elizabeth I, as was her daughter, Lettice, who later married Robert Dudley, Earl of Leicester. Elizabeth I paid for a lavish tomb in Westminster Abbey for Catherine, and her brother was later buried near her. Although there isn’t much surviving evidence for the Carey children, it is clear that they had their aunt’s knack for royal service.